Dates in 2019 to be announced. Machapella is based in Machynlleth which is a thriving market town in West Wales. It also has a thriving ‘alternative’ culture mainly because the Centre for Alternative Technology is 3 miles down the road, and many interesting people come to work or volunteer at CAT and then find themselves staying in the area. (That is indeed how I ended up in Mach). 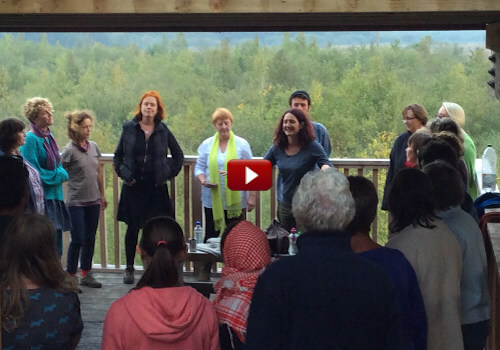 Machynlleth was one of the first places to have a ‘Community Choir’. 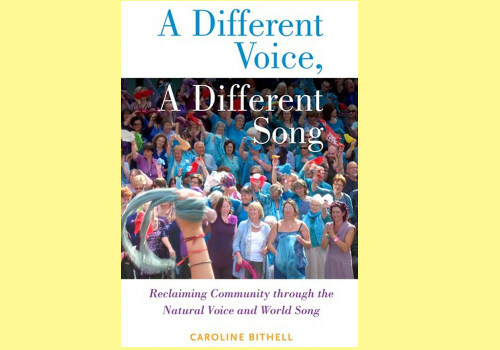 In 1992 we were lucky enough to be visited by Caroline Bithell, author of ‘A Different Voice and a Different Song’. 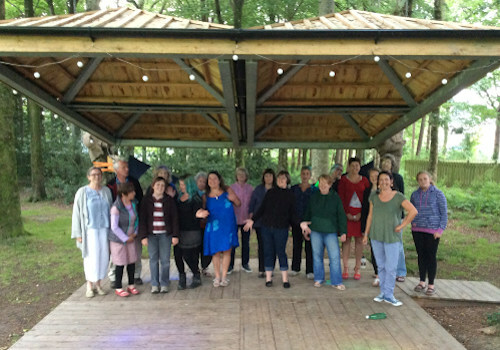 Machapella has sung in the grounds of Y Plas at the crafted space in the woods by Jenny Hall. Machapella has sung at the Observatory, down the road near the Osprey Project. 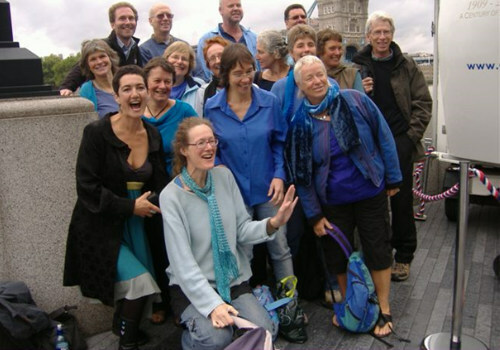 Machapella has supported Sing for Water over many years, travelling to London to take part in The Thames Festival and raising money for Water Aid. 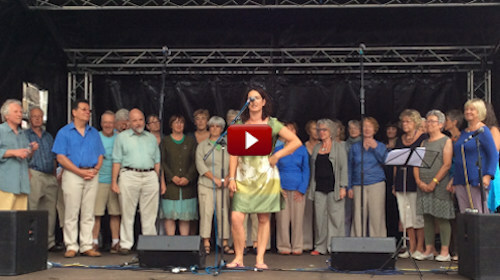 Machapella has sung as part of a choir at Sessiwn Fawr in Dolgellau. .
Caption, Are they warming-up the resonating chambers or doing a nose-trumpet fanfare?! “Over the last years I have been a singer in a band, sang solos on quite a few stages, sang solo on an Una May album and sang together with choirs of 10 to 600.